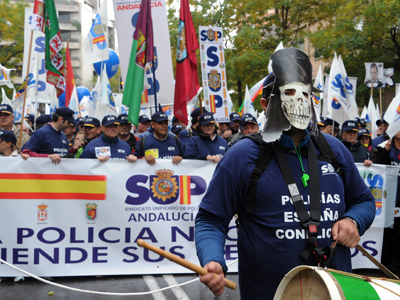 Tens of thousands of protesters from all walks of life gathered in cities across Spain to oppose economic hardship and corruption sparked by the financial crisis. 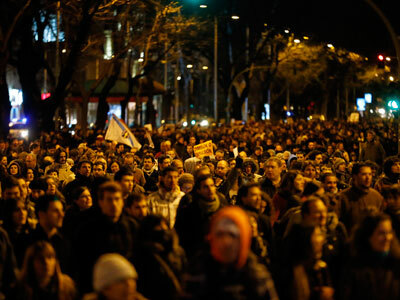 Dozens were injured or arrested in Madrid in disturbances following the peaceful rally. 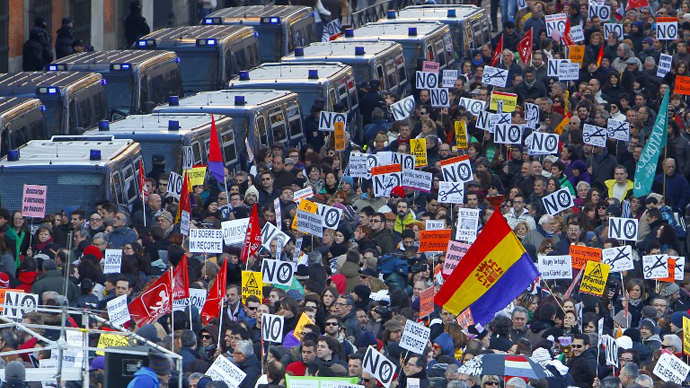 Thousands marched on the Spanish parliament in Madrid amidst a clamor of drums and whistles in one of many demonstrations throughout the country targeting the"coup of the financial markets." Although most of the protesters dispersed peacefully after the rally, police reported violent disturbances later on Saturday and early on Sunday in which 40 people were hurt, including 12 police officers. Forty five people were subsequently arrested, nine of whom were under 18, police said. The movement, dubbed “citizens’ tide, 23F," has brought together workers from disparate fields, including students, professors, healthcare workers, miners, environmentalists and political activists. 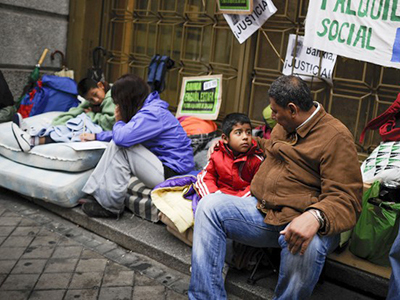 "We have come because of it all -- unemployment, corrupt politicians, the young people who have no future -- it's a combination of everything," Luis Mora, a construction worker in Madrid told AFP. Many of those in attendance have been deeply affected by public sector cuts and tax hikes introduced by Prime Minister Mariano Rajoy’s conservative government in a bid to tackle the country’s massive debt problem. 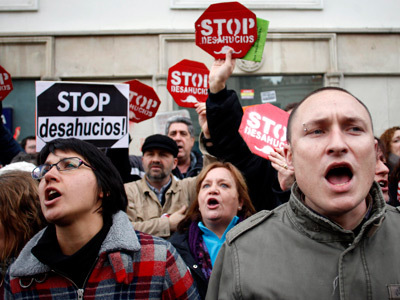 Spain has seen regular protests against austerity measures that Rajoy says have cut a “path for the future." 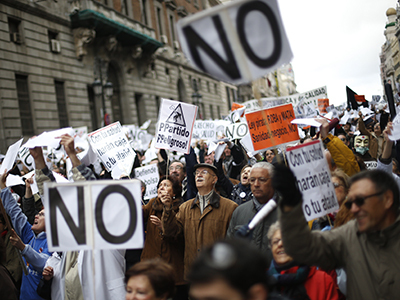 Protesters counter that government corruption and the “pressure of financial markets” has led authorities to give away the “welfare state” instead of punish those responsible for the crisis. The current recession, sparked by the 2011 collapse of the country’s housing market, has seen unemployment hit 26 percent. Youth unemployment is even higher, at times soaring over 50 percent. Saturday's protest falls on the 32nd anniversary of a failed attempt by right-wing officers to overthrow Spain’s burgeoning democracy and restore military rule.